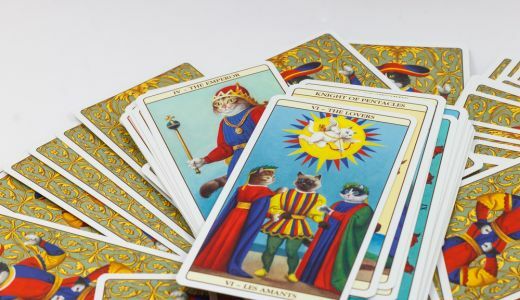 Tarot readings are a great way to get guidance on love and relationships, work and career, home and family – or simply to just have a general reading to see what is coming up. Most Tarot decks are made up of a total of 78 cards, also known as the Trump cards. There are 22 cards in the Major Arcana and 56 cards in the Minor Arcana. The Major Arcana, meaning ‘the big secret’ in Latin, usually portrays a stronger message in a Tarot reading and are important because they can signify momentous life events. The Major Arcana which is also called ‘The fool’s journey’, is the journey of our life, starting with the first card The Fool which is portrayed as a young, energetic spirit. The completion of the cards is ‘The World’ and the Fool has travelled to eventually complete the cycle of life. 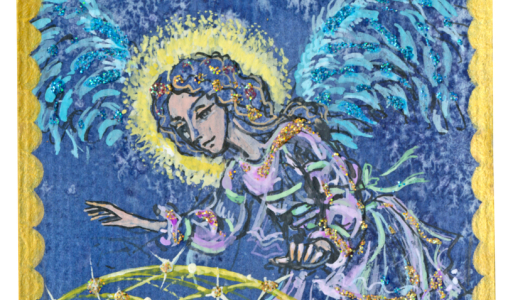 It is believed that all of the cards convey every emotion of joy and sorrow that we can experience in a lifetime. The more Major Arcana cards that show up in your Tarot reading, the more exciting life is about to become! These cards show strength in many different areas of your life and will translate to give very definite answers to your questions. For example, if you were having a reading on a new relationship and your cards included the Strength card, the Temperance card and the Sun card, this would show that the relationship has strong foundations, a good equal balance and understanding between both partners and emanates tremendous success! Tarot readings are a way of getting more insight to your life. 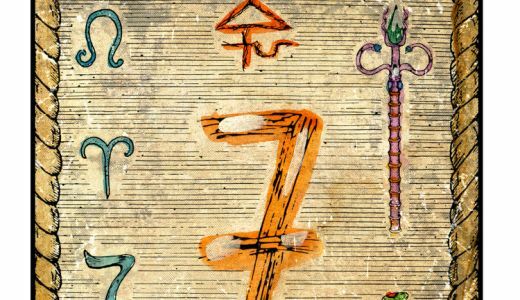 Whether you wanted to have a general Tarot reading for the next six months or you wanted guidance on a specific situation, they can help give you the clarification that you need. Each card teaches us about a different part of our life and the whole spread in a reading, gives us the complete picture of what is going on now, and what is coming up in the future. many different ways depending on the reading. THE FOOL – Fresh new beginnings, taking risks, developments in certain areas of your life. Can mean feeling independent and enjoying freedom. THE MAGICIAN – Cleverly communicating, new opportunities, using your skills to progress. Gift of the gab, persuasive, confident. THE HIGH PRIESTESS – Encourages using your intuition, inner wisdom for motivation. Trusting your instincts and gut feeling. THE EMPRESS – Powerful, feminine, creativity, maternal, abundance. Calming female influence, strong woman. THE EMPEROR – Strong male influence, authority, control, dependable, trustworthy, ambitious, focussed. THE HIEROPHANT – Getting advice, informative or legal person, support and learning. THE LOVERS – Relationships, love, sexual, emotional choices, options ahead. THE CHARIOT – Moving forward, moving house, assertiveness, progress in subject. JUSTICE – Clarity in a situation, justice, decisions, compromise, fairness. THE HERMIT – Listening to yourself, being independent, alone, a loner, feeling isolated. THE WHEEL OF FORTUNE – Changes are coming, fate stepping in, positive options, can be unexpected, excitement. STRENGTH – Positive situation, finding strength and power within, feeling in control, empowered. THE HANGED MAN – Waiting for something, looking at life in a different way, sacrifice, feeling in limbo. DEATH – The end of a situation, new beginnings, fresh starts, letting go of negativity, moving forwards. TEMPERANCE – Balancing, patience, purpose or a meaning to a situation, calm. THE DEVIL – Materialism, greed, lust, anger, frustration, negativity. THE TOWER – Sudden change, loss of control, uncertain outcome. THE STAR – Hope, dreams, wishes for the future, healing, education. THE MOON – Confusion, arguments, uncertain times, initiates changes. THE SUN – Success, happiness, fame, the ‘Yes’ card. JUDGEMENT – Rewards, judgement, karma, deserved recognition. THE WORLD – Completion, confidence in future, success, happiness. 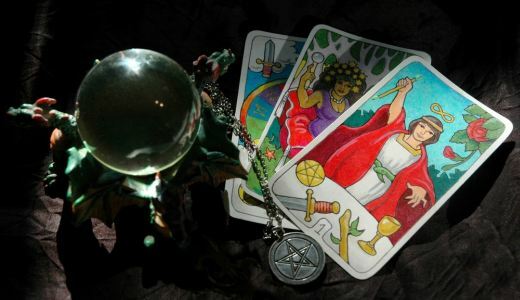 Having a Tarot reading can give you greater insight into current and future events. It can forearm you with the knowledge of expected outcomes and give you peace of mind and reassurance for the coming six to 12 months. Tarot readings are a great way to get guidance on love and relationships, work and career, home and family – or simply to just have a general reading to see what is coming up. If you need to know about a particular situation, ask the Tarot reader to focus on this first. An experienced Tarot reader will give you positive detailed insight for your future. Would you like to know what’s in store for you? Speak to our expert Tarot readers at TheCircle for insight to your year ahead. Need reassurance in love, work or family? Our experienced Tarot readers will give you guidance for a happy and positive future.